The famous four seasons in Japan make the country an ideal travel destination throughout the year! However, there are some dates that are best to avoid if you want to make the most of your visit. Read on to find out some of the travel dates best avoided while exploring the Land of the Rising Sun. Although Japan celebrates Christmas, they celebrate it a bit differently. Instead, the big winter holiday in Japan is New Year's. From January 1-3, many government offices, banks, businesses and even restaurants shut down for the holiday period to welcome in the New Year. 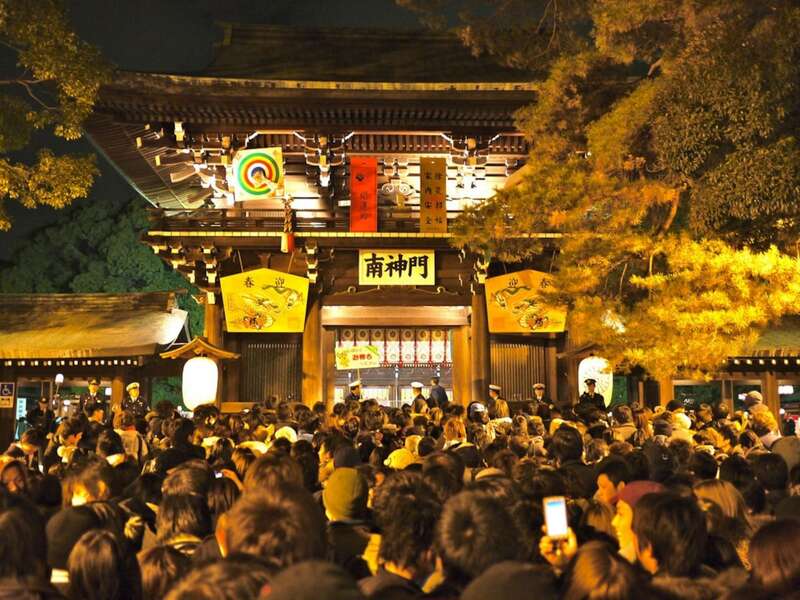 If for any reason you are in Japan during this period, it might also be best to avoid any Shinto shrines (or particularly famous temples), as people flock to them for the first visit of the new year. Local transport might also run at a reduced schedule (or even not at all) as people opt to stay in with their families after visiting a shrine. 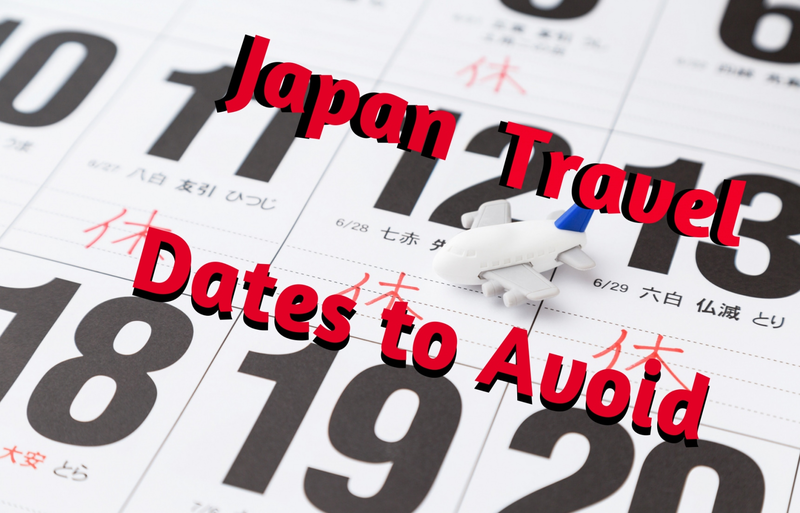 The start of the New Year might not be a great start to your holidays in Japan. If you still want to visit during the New Year Period, renting a car might be the best option. You'll avoid any public transportation chaos, and it might present an opportunity to visit a location you might not normally consider. Make sure to have enough cash to cover the three days banks will be closed, and to rent your car before January 1. Golden Week is a collection of four national holidays that are spread out over seven days. It's pretty common for most people to take the days that are in between each holiday off as paid leave so they can spend a full week traveling domestically. Public transportation barely copes under the stress, roads can become seriously congested and popular tourist locations are usually extremely crowded. During Golden Week, accommodation can be impossible to find unless they're booked far in advance. If you need to travel during Golden Week, ensure that you have made all your reservations (train tickets, accommodation etc.) as far in advance in possible. Unfortunately for international visitors, if you use your JR Pass to ride shinkansen without an assigned seat, there's a very good chance you'll spend the ride standing. Please note that the Japanese government has announced plans for a 10-day Golden Week in 2019, since the current Emperor will abdicate his throne. The Obon holiday season typically lasts from August 11-19 (though dates can vary) as people take the week off to return to their ancestral homes, since the holiday is said to be the period in which the spirits of one's ancestors return to this world. With large numbers moving from the cities into the countryside for the week, public transportation (especially buses and local trains in the countryside, which already have a limited schedule) and roads become extremely congested. If you are thinking of visiting many locations on your visit to Japan, Obon is best avoided. Plan your visit shortly before or after Obon to avoid the busy roads and public transport. Always double check when it will be celebrated, as actual dates may vary. Silver Week is basically the autumn version of Golden Week, centered around national holidays in late September. Depending on the year, the weekend can line up with the holiday, which means people might be able to get up to a week off again. Since it doesn't happen every year it's a lesser known holiday period among Japan's residents. If it does happen, you may see a similar phenomenon of domestic travel as Golden Week, especially since the weather is perfect for travelling as the sweltering summer heat subsides. Double check in advance if the Silver Week lines up with a weekend. If so, take the same preparations as you would do for Golden Week! The month of May after the Golden Week mayhem. Head north toward Hokkaido or Tohoku to catch the late-blooming sakura (cherry blossoms) without the crowds of Golden Week. It's also just before the Japanese summer so you will avoid the heat and humidity! September and early October (aside from the Silver Week) usually have the warmth of summer without the crazy humidity or crowds of people traveling during Obon. Late October and early November is perfect for catching the autumn colors in Japan. Head out into the countryside or up into the mountains from October to December to catch the colors without many crowds! Late January and early February are ideal for beating the crowds and catching the tail-end of Winter. Head over to some of the quieter winter resorts in Tohoku and Hokkaido to make the most of your trip.